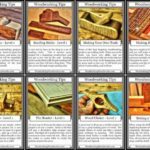 The best way to learn wood finishing as a beginner is to just learn about it as you are learning about woodworking. Don’t wait until the end, otherwise you might ruin your project right when you finally started to see the finish line. 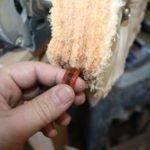 Unless you are making something that doesn’t need a finish, which is extremely rare, you are going to need to know how to apply a finish as a woodworker. These two skills are peanut butter and jelly, you just can’t have one without the other. Thankfully, there are a lot of easy to apply finishes, and you can start out really strong if you just do a few things first. Over time you can make it more of a challenge, but in the beginning you should focus on making it easy. Here are a few ways that you can make yourself a better wood finisher in the beginning. They are things that you can do at the same time you are making your project, and by the end you will be in a much better shape to apply a great looking finish. The earlier you can start researching your finishes, the better. Like anything, knowledge is the key, and the more you know about finishing the better. Focus on a good book like the Bob Flexnar finishing book, and you will be in great shape. You can also read online tutorials, and watch YouTube videos. There are a lot of great people out there that are happy to help you learn to apply a great finish. All you need to do is look for them, and take in the information. As you make your project, you will end up making scraps. 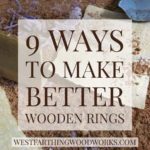 You need to save these scraps from the trash bin and practice on them. 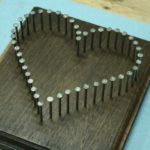 This is a far more useful way of dealing with the waste from woodworking, and you get to build your skills too. The beauty of scraps is that they are the same species as your project, so the finishing practice is very similar to the real thing. When you finish your scraps, you get to see exactly how the finish is going to look on your project, because the species is the same. Also, working on scraps gives you a chance to see what the finish looks like on different boards. A finish on Pine looks different than a finish on Mahogany. This is part of the decision making process, and working with different finishes and scraps will build that experience quickly. In the beginning, focus on easy to apply finishes that are traditional. These finishes make the learning process much more simple, and the penalty for making mistakes is a lot lower. A few good choices are Tru-Oil, Wiping Varnish, Aerosol Lacquer, and Boiled Linseed Oil. Each of these finishes is going to look a little different than the next. The application processes are similar with the exception of the aerosol lacquer. Spend some time applying these different finishes, and seeing what they look like when they are done. Over time, you will grow to like one or more finishes more than others, and they will become your go-to products. Don’t skip the experimentation stages in the beginning though, because the more products you use, the more chances you have to find the ones that you really like. The great thing about practicing finishing at the same time that you are practicing woodworking is you will be ready when the time comes. This is great, because you will be excited to complete the project, and that can lead to rushing and making mistakes. You don’t want to have to learn everything about wood finishing on the day you need to apply the finish. This is asking for trouble, and can lead to bad decisions and ruined projects. Instead, work on the finishing side of woodworking form day one, and by the time you need to apply a finish, you will be better equipped. Especially if you focus on easy to apply finishes that are applied by hand, it will not take long to be a confident finisher. The only difference between the scraps that you practice on and the project is the size, so be confident and you will apply a great looking finish. Your homework is to start learning about wood finishing right now. Even if you are still in the planning stages for your project. The best time to learn about wood finishing is right now, because you don’t want to ruin your project right at the end. If you are a reader, go and get a book on finishing. 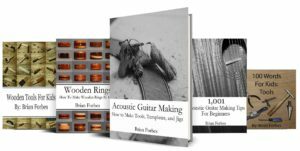 Make sure that the material is made for your skill level as a beginner, and make sure that the focus is on easier finishes without a lot of fancy and expensive equipment. If you are more of a visual learner, then YouTube is your source. Go online and take a look at some of the finishing training videos that are available. There are a lot of great wood finishers that are excited to share their knowledge with you. 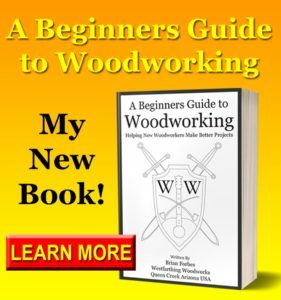 The best time to learn finishing is at the same time you are learning woodworking. The earlier you start, the better. This way, you don’t have to worry about losing a project right near the end because you messed up the finish. Start out with a few easy to apply products, and then start finishing your scraps. These little pieces are solid gold when it comes to finishing, because you will learn a lot. Each scrap is a small test board, and the more of them you finish, the more practice you get. Finally, don’t put off learning about finishing until the end. This is a skill that goes with woodworking, and cannot be taken away. 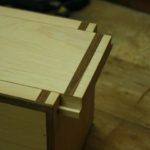 There are very few projects that won’t do better under a finish, so plan ahead and start learning all you can about this essential skill in woodworking. 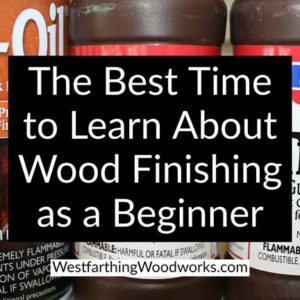 If you have any questions about The Best Time to Learn About Wood Finishing as a Beginner, please leave a comment and I will be glad to answer them. Happy building.